Playing the piano is so much more than hitting the right notes! It’s about understanding the music, learning to use your body in relation to the instrument, and integrating it all to create the sounds you want. It’s also about you: your center, your balance, your artistry. This knowledge is what Susan Riggs brings to her students. 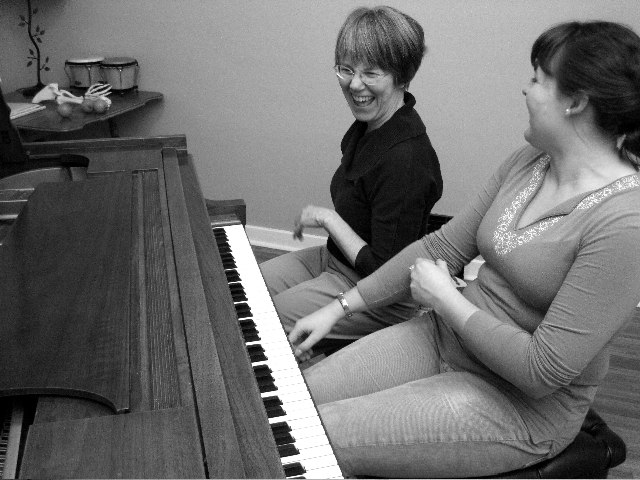 Susan’s Whole Body Piano approach—which employs the tools of Body Mapping and Eurhythmics—is innovative and exciting whether you’re a continuing student, just starting out, or returning after many years apart from the piano. Please take a look at the spectrum of Susan’s offerings. Then contact Susan for more information and scheduling. Copyright © 2015 Susan Riggs. All rights reserved.